RBS Royal Bank Of Scotland Gogarburn. Royal Bank of Scotland is investigating allegations of cronyism after a whistleblower claimed the lender appointed a man to a top role on the basis that he is the friend of a senior executive. A source within the bank said that RBS is looking into complaints that the man appointed team leader on the troubled Amethyst project lacks the requisite qualifications or experience for the role, and was given the job solely because of his friendship with the executive. The move is said to have sparked fury among colleagues, with one saying on condition of anonymity: “You would have at least Level 4 Financial Planning Diploma Certificate to be a team leader, if not level 6. The fact is he didn’t even know what an OEIC (open-ended investment company) was when he started the project. It is also alleged that the bank paid the man nearly double what it paid those with qualifications and, damningly, that more experienced and qualified staff were kicked off the project while he was not. RBS chief executive Ross McEwan was made aware of the situation in July, but the whistleblower is understood to have claimed that the investigation is not being taken seriously and has been delayed. The bank said in a statement: “RBS takes whistleblowing very seriously. The bank was made aware of a series of allegations in July and is investigating them thoroughly. The Amethyst project was set up to carry out complex investment reviews of ISAs, funds, bonds, pensions and tax planning products. The Financial Conduct Authority has rules in place that aim to stamp out nepotism and cronyism in the Square Mile, but it is unclear whether the City watchdog has been made aware of the situation. The damning revelations come just weeks after it was revealed that RBS was paying contractors £400 a day to stuff envelopes, typically a minimum wage role. 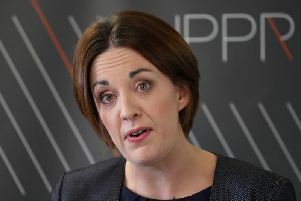 Under Mr McEwan, the lender, still 62 per cent owned by the Government, has pledged to cut costs and stamp out scandals. Since the financial crisis, RBS has been dogged by furore surrounding the mis-selling of payment protection insurance (PPI), mortgage-backed securities and the mistreatment of small businesses. Mr McEwan has also axed many RBS branchess as part of cost-cutting measures, resulting in hundreds of job losses.